This is a great opportunity to find a great gown at an amazing price while supporting a great cause! Don't forget to register as you must have tickets to get in! Visit the Milwaukee page, here. You can learn more about the national organization here! I encourage you to give it a read. It's cold and kind of gray. I choose color! It's only the third week of January and 2013 is already super busy! I've been penning posts, stepping out tutorials and planning some post-holiday fun with the gals. On top of everything else, I am meeting with couples and sketching out designs...which brings me to today's post. That's enough for today, yes? Next week, we'll tackle even more! Flowers. A wedding tradition I can get behind! With the new year underway and wedding season right around the corner, it stands to reason you've been filling my inbox with questions of wedding traditions. Rather than answer them all privately, I've decided to post them here, in case others out there are pondering the same questions. Blanket Statement about traditions: I don't believe anyone should do anything simply because it's "just what's done". I think people should celebrate their love in whatever way makes sense for them. Take a chance and let your wedding be something truly amazing! My SO and I are having a dispute. Please tell me when it's appropriate to use a three letter monogram at a wedding and settle the argument. -This is an easy one (and incidentally one of the few wedding traditions I am 100% behind). A three letter monogram is the combination of the first initials of the bride and groom with the first initial of the new last name (in my case, eEa, which signifies Erin and Andrew Ellingen). It is improper to use a three letter monogram on anything that will reach guests before the reception. So, avoid using a mono on any of the following: save the dates, invites (shower and wedding), programs, and thank you cards for gifts received before the wedding. Opt for a duogram on all of that and give your new mono a big debut at the reception. Traditional invite suite? What the hell, G? Do I still need that shizz? - I love how you worded this. I know how frustrating this can be. Ok, so. Here's what's in a traditional wedding invite suite: inner envelope, invite, rsvp card, rsvp card envelope, reception card. Frankly, with weddings being as diverse as they are these days, it's more common for each couple to decide what they need and go with that. If you're unsure, try talking with friends or get some advice from a wedding planner. Then weigh your options and go from there. Wedding suite snappy. Twist tradition with a Guest Book tree. I got an invite in the mail that had a little square of tissue in it. Why? Do I need to put one in ours?-Wow, no kidding? Well, when wedding invitations were gaining popularity, they were often inked by hand or printed using techniques available at the time. These inks took awhile to dry and the tissue was added to keep the invite from smudging whilst in the envelope. Though modern inks no longer smudge, the tradition remained (and is entirely superfluous if you ask me). I do not think it's necessary for you to include. Is it still tradition for the bride's parents to pay for everything? My family wants to help out, too, but I don't want to step on toes, you know? -Fun fact: This tradition evolved from the dowry system. You know, when weddings were basically business mergers arranged by families. Nothing says romance quite like being bought and sold. That being said, I think it's far more common these days to see a combination of both the couple and their respective sets of parents chipping in. You'll just have to sit down and talk with those involved and work out the details for yourselves. For this wedding, we bucked tradition and used a series of chalkboard programs. My Mom seems hellbent on having a sit down dinner because it is the traditional thing to do. We want to do something like a chic bar or family style thing. Would this be out of the question? -There are so many options available to today's couples that I can't imagine you couldn't come to some sort of agreement. I think, if done well, food bars and family style dining can be exceedingly charming. Right now, I'm in love with food trucks. I think having your own little street fair is magniff. Maybe take your Mom along on some of your food excursions and show her what's out there. She may end up loving your idea! I want my dude best friend to stand up with me and my honey wants his sister on his side. Has that ever been done? -I am seeing this more and more and I absolutely love it! For me, bridal parties should be made up of people that have helped make us who we are. It shouldn't be a popularity contest, a savvy political move or a stuffy tradition. It's about the two of you and not necessarily about making everyone else happy. There we have it! Some of my favorite questions of the week. Keep 'em coming, dolls. You can e-mail me at goldiluxeevents@gmail.com. 'Tis the season, once again, pets. 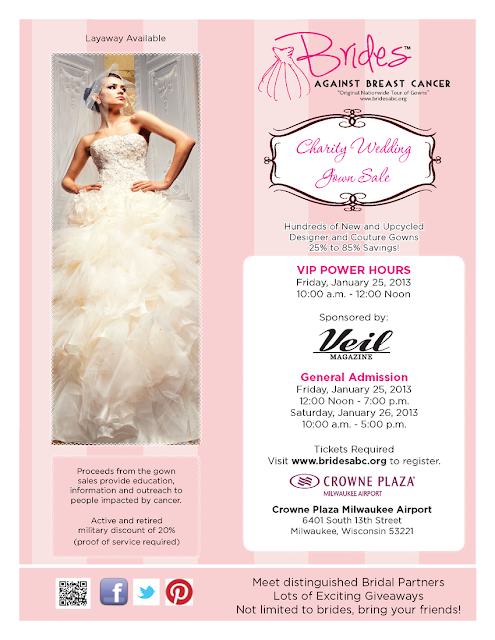 Bridal Show season, that is. As such, I thought I might provide you with a list of what's coming up in the wee hours of 2013. I'm also including some quick tips for making the world of Bridal Shows a little more fun. Okay, here we go. Let's start with the events for the first quarter of 2013, shall we? Take a moment to look at these listings and see which ones appeal to you. Once you've chosen, I hope you'll be able to employ some of the tips listed below to make your experience a little more effective and a lot more fun. 1. Do Your Homework. Take a spin through the social media surrounding these events. Talk to friends that have attended previously. Take a moment to decide which shows are speaking to you. Take a look at the vendor page as well. It's nice to have some idea of which vendors you'd like to meet (and those you rather skip) before you get there. 2. Be Your Best Self. By this I mean, be polite and respectful to those you meet, even if you are not shown the same courtesy. Let's face it, as much fun as Bridal Shows can be, they are at their core loud, gaudy affairs where vendors and brides alike are all clamoring for attention. Wait your turn, ask questions nicely and remember, you don't get a do-over for a first impression. No one likes to be snapped at. Also, don't trash talk work you don't like. It's ugly and classless. You are neither. 3. Travel Light. Limit your entourage. This may not be the time for twenty different opinions. Especially, if you and your honey are unsure of what you want. You might find yourself spending time with vendors or considering ideas that just don't fit your vision. This is a huge time waster and a big mistake. If you must travel like an A-lister on Rodeo Drive, then be assertive about your goals for the event. You might ask your group to take notes on things they see and hold them until after the event. Consider a post-show snackie or cocktail sesh to discuss. 5. Fear of Commitment is Encouraged. The best piece of (unsolicited) advice I received whilst planning our wedding was this: Do NOT book vendors at Bridal Shows. Let me explain: At a bridal show, you are in a room with hundreds of other couples. You will not get individual time with them without monopolizing them. This means you will not have time to ask all the questions you should. There will be no undivided attention; only sales pitches. More importantly, you will be overstimulated which means you won't have a clear picture of what you want yet. This leads to budget disaster. What you should do (and many vendors would agree) is make appointments. Set a date to chat, uninterrupted. The show is the perfect time to introduce yourself, get one of those aforementioned pamphlets and make some notes. Bring both a pen and a sharpie so you can write on anything handed to you. 6. Get Fired Up! Go to the show with inspiration in mind. You will be surrounded by beauty. Use it to your advantage. Sketch things, write down ideas, talk to people. Take time to look around you. Attend the fashion show. Participate! 7. Don't Be Sneaky. If you are going to take pictures of a designer's work-ask first. Nothing puts a designer on the defensive quite like shady behavior. You'll find they will be much less likely to share their ideas if you behave like the kind of person that steals them. Let me put it this way-at every event I've done, someone has approached me and asked to take photos of my design. I've never said no and usually end up booking an appointment with them. There will be so many people behaving badly, don't allow yourself to get sucked in. Make the effort to be a better person. Same goes for everyone in your party. Guilt by association, you know. 8. Don't Be So Serious. It isn't heart surgery, is it? So, enjoy yourself! Take away what you want from the event and leave the rest behind! A doodle of what the inside of my head looked like in 2009. You little darlings have been badgering sweetly asking me to repost a 'You Asked For It' post I did at the beginning of 2012. Ask and you shall receive! I've posted my quick and easy tips for making sense of the wedding planning labyrinth. This week, we'll be looking at some of these tips in depth. I am back at it after taking a much needed holiday social media break. I will be posting my usual year in review and resolutions posts as well as getting back to wedding-related content. We'll be hitting it pretty hard this month so stay tuned. My first post of the year (besides, you know, this one) will be a 'You Asked For It' post answering your questions about what happens post-engagement (a BIG shiny Goldiluxe congratulations to all you newly engaged couples out there!! ), so keep the questions coming! Most of all, I hope you all had an amazingly wonderful Holiday Season. Smooches to all of you!